I would like to take this opportunity to introduce Marcelo Zimmer to our crop production and protection clientele. 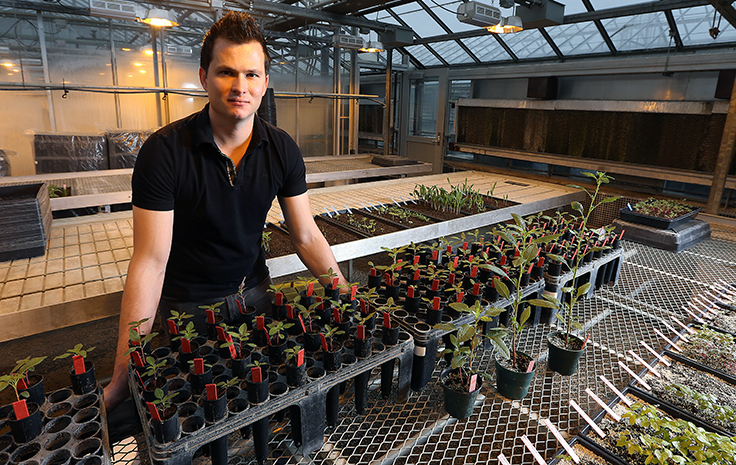 Marcelo will be assuming the Weed Science academic extension professional position previously held by Joe Ikley (2017-2018), Travis Legleiter (2012-2016), Glenn Nice (2002-2011), and Dan Childs (1990-2001). Marcelo will assist my weed science activities by providing technical expertise on weed and herbicide management issues for agronomic crops. He is originally from a small farm in southern Brazil and came to my weed science lab as an exchange student for about a year during the pursuit of his B.S. degree. In 2014, he earned his B.S. degree in Agronomy from the Federal University of Pelotas (Brazil) with a minor in Crop Protection/Weed Science. I was impressed with his ability and interest in weed science while he was an exchange student in my lab, so I was able to recruit Marcelo to come back to Purdue to work on a M.S. degree. In 2015, he joined my Purdue Weed Science Lab as a M.S. student, where he researched the management of glyphosate-resistant horseweed utilizing a new herbicide from Dow AgroSciences (Elevore). He finished the M.S. degree in 2017 and decided to stay with our weed science program to pursue a Ph.D. His research is investigating the different glyphosate-resistance mechanisms in giant ragweed. So, he is pursuing a Ph.D. degree while helping me with my extension duties.